The first arc of the New Avengers, "Breakout", written by Brian Michael Bendis with art by Brian Hitch, is the reason I got back into comic book collecting. I was 4 years into my college days when one day, for really no reason at all, I walked inside a local comic book shop. I looked around and realized I had no idea what had happened in comic books since the mid 90's. I had missed about 10 years in comic books and missed out on a lot of changes. After a quick look around I was left with one thought: where to begin. I purchased 3 trade paper backs. 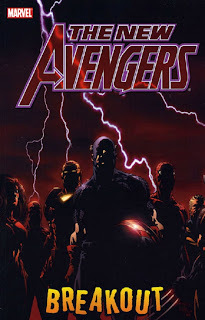 After I read Avengers: Disassembled I felt like I was very lost. As soon as I get back to comic books some major players were either going crazy or getting killed. The book was entertaining but I was left with a sense of chaos. Then I picked-up The New Avengers: Breakout. The New Avengers had done what one of my favorite stories of all time had done in Fantastic Four #347 - #349 when it brought some of the coolest Marvel characters together on a team (the new Fantastic Four). 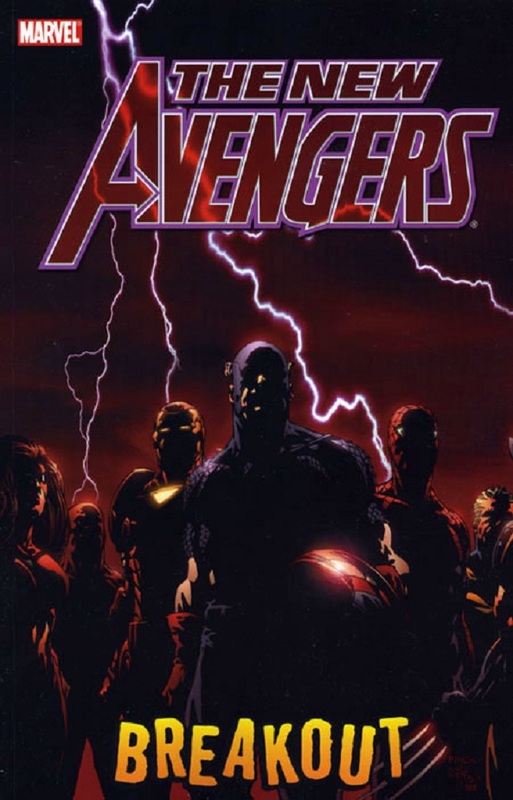 Bendis brought together a group of heroes that included some classic Avengers and some fan favorites. For an ongoing series in Marvel, this was quite new. I liked it. The new direction to both give the fans what they want and provide interesting stories was very attractive to me as an older consumer of comics. Some of the older comic books I own may have never made my collection these days. They may have had excitement, but no story, or story but not as exciting. Bendis combined the two, for me, in The New Avengers: Breakout. The comic of the day grabbed me back into comic books and 5 years later I am more into comic than ever before. Heck, I have this blog where I write about a new comic of the day every day. Thanks Bendis. I am now much poorer and broke every Thursday because of you. congats on making it. are you going to keep going? great push at the end there. I think I am going to try and keep going, yeah. The push at the end was tough but I actually think I produced some good posts during that little run. Poster week really helped me make up some ground, too. Shorter posts and I didn't have to re-read a comic. I just looked at a big picture. Thanks for still following along Budd. It did make me feel not so stupid for still writing posts to see a comment from time to time. This sounds like how I got back into comics. Stopped late 90's, while in University randomly walked into a comic store... but I picked up Civil War #4. I was a little confused at the time but like you I am now a little less wealthy every Wednesday... speaking of which, the comic book store opens in 15 minutes! One time I went to the comic shop as it was opening Wednesday morning. I was going on a road-trip, but wanted to get my books first. Surprisingly, there were other people in the shop with me that early. I love Wednesdays!